As a single, working mom, my two teenage boys often hear me say, “Time is money.” I need to be mindful of my housing budget while managing my crazy busy life with limited time. I am in the season of life when urban conveniences are strong desires but suburban perks, like good schools and a safe environment, are non-negotiable requirements. Lucky for me, surban living is becoming a new way of life for many: where the blend of urban and suburban living provides the best of both worlds. We use the term surban to define the trend we see around the country of suburban areas incorporating urban principles. Where did I find all of that and more? Downtown St. Charles, Illinois, in the western suburbs of Chicago. St. Charles meets our criteria for surban, as it has a vibrant downtown with restaurants, entertainment, and shopping. The schools are top-notch, and the area is known for being family friendly. I can walk to work, and my kiddos are active in multiple sports programs and can often be found at the local park. Our firm leased an office nearby to accommodate my desire to save time. 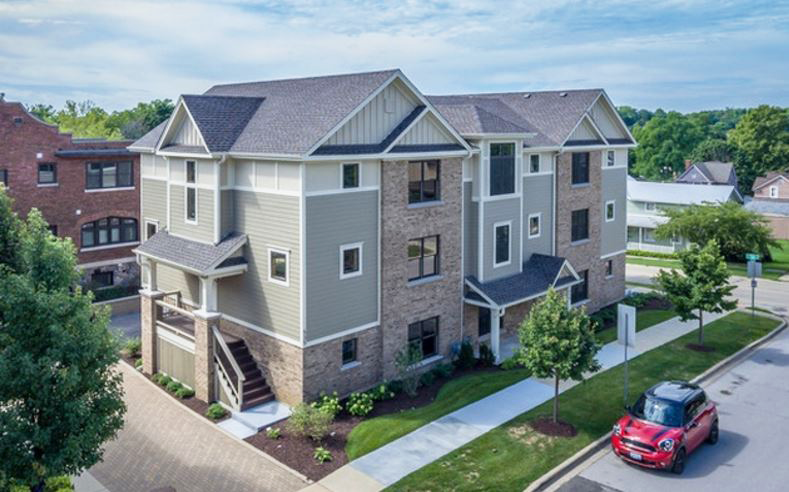 Heritage Green is an example of a new-construction surban development located in St. Charles. The development is walkable to downtown St. Charles and includes the renovation of the historic Judd House as four apartment units as well as three, three-unit townhome buildings as for sale. Learn more about the surban living trend in our recently released book Big Shifts Ahead. If you have any questions, please call (949) 870-1200.